Lewis Hamilton said it felt “fantastic” to beat Mercedes team-mate Nico Rosberg in their thrilling race-long battle at the Bahrain Grand Prix. Hamilton fended off a series of attacks to win his second race in succession. 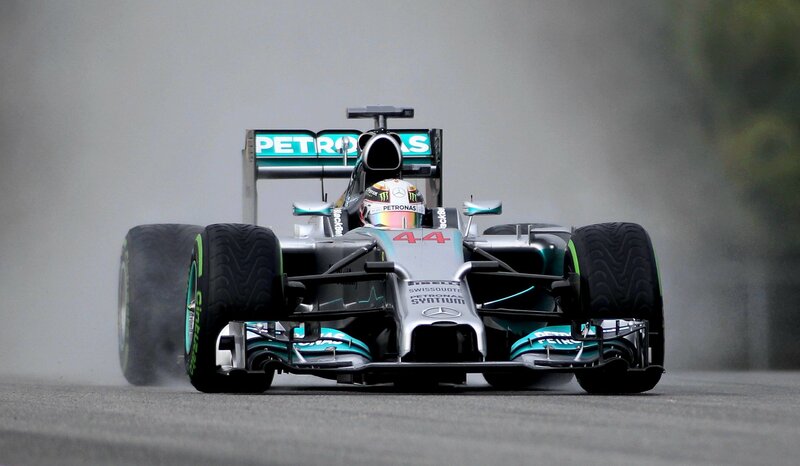 Hamilton said: “It was one of my most difficult races. When it’s your team-mate it’s very hard to choose where to put your car. It was incredibly tough. Hamilton beat Rosberg away from the start to take the lead at the first corner and fended off attacks from the German as they approached their first pit stops, and again at the end of the race after a safety car period when Rosberg was on faster tyres. He said: “Me and Nico haven’t had a race like that since back in our karting days. “There was a race we did years ago in… I don’t know what year it was, in karting – our first race together. He added: “A lot of times he was in my blind spot and I had no idea if he was there or not, so I tried to leave space. “You don’t know whether he’s attacking or braking later into the next corner because you don’t even know where he is. That was very difficult. “But for me it feels like a long time that I’ve been able to have a real racer’s race and really use whatever skills that I’ve acquired over the years as a youngster in karting. “The time that I went round the outside or got back, just timing it right – you know, it’s a fantastic feeling to be able to do that. It’s one of the greatest feelings when you obviously come out on top. “Winning the race is the greatest thing, so I’m going to go away tonight very happy of course, but deep down inside, I didn’t have the pace today and that’s always still in the back of my mind. Despite racing wheel to wheel several times, Rosberg said he never felt they were going to collide. “I was just pushing to the limit, going for it and just making sure we don’t crash, but all the way, as hard as possible and it worked out,” he said.